Finally, the Trung Sisters | Take Back Halloween! 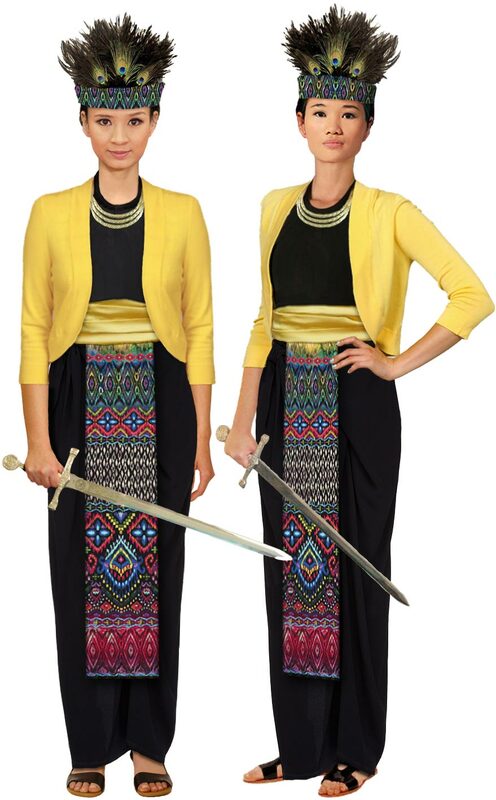 Our new Trung Sisters costume, which we published yesterday, has been a long time coming. People have been asking us for a DIY Trung Sisters costume since our very first year of operation. If you grew up in a Viet community, you’re of course familiar with the seamstress-made costumes sometimes worn on Hai Ba Trung Day. But, we were asked, what about something that looks more ancient? What about something that looks like the Dong Son culture, and the pictures in the illustrated history books? 3. That it be, like all our costumes, easy to put together with no sewing required. 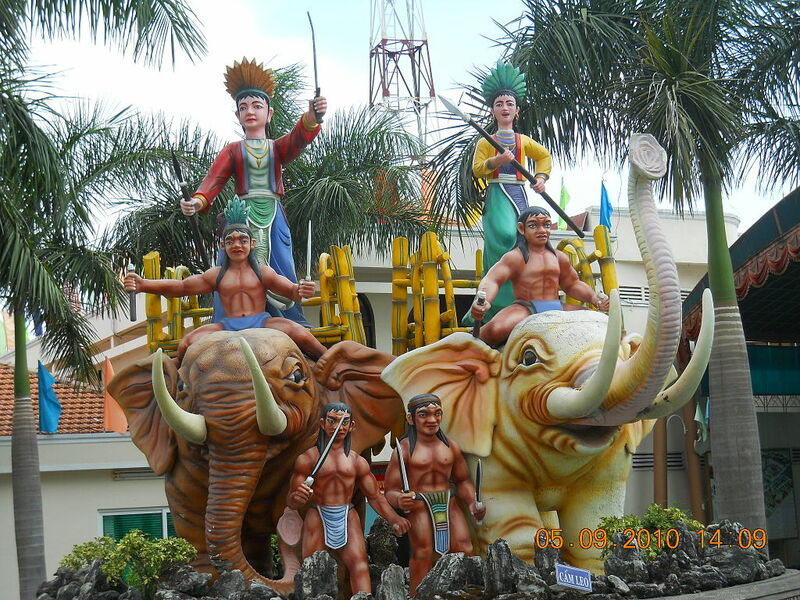 The statue of Hai Ba Trung in the Suoi Tien Amusement Park, Ho Chi Minh City, Vietnam. Beyond the legend: If you’re doing research on ancient Vietnam, or if you’re just a history geek, here are some useful English-language scholarly articles to get you started. From Co-loa to the Trung Sisters’ Revolt: Viet-Nam as the Chinese Found It. (pdf download) By Stephen O’Harrow. Published in 1978, this is a key English-language paper. Rethinking the Status of Vietnamese Women in Folklore and Oral History. (pdf download) By Nguyen Van Ky. A short paper exploring what can be deduced about ancient gender roles in Vietnam. View from the East Mountain: An Examination of the Relationship between the Dong Son and Lake Tien Civilizations in the First Millennium B.C. (pdf download) By John Tessitore. An overview of the Dong Son culture, with only a brief reference to the Trung Sisters. Investigating Cultural Evolution Using Phylogenetic Analysis: The Origins and Descent of the Southeast Asian Tradition of Warp Ikat Weaving. (online) By Christopher D. Buckley. This isn’t about the Trung Sisters at all; it’s a fascinating new study about the ancient roots of ikat weaving.